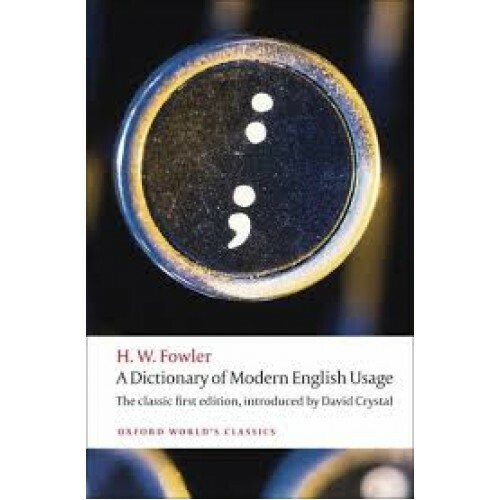 'What grammarians say should be has perhaps less influence on what shall be than even the more modest of them realize ...' No book had more influence on twentieth-century attitudes to the English language in Britain than Henry Fowler's Dictionary of Modern English Usage. It rapidly became the standard work of reference for the correct use of English in terms of choice of words, grammar, and style. Much loved for his firm opinions, passion, and dry humour, Fowler has stood the test of time and is still considered the best arbiter of good practice. In this new edition of the original Dictionary, David Crystal goes beyond the popular mythology surrounding Fowler's reputation to retrace his method and arrive at a fresh evaluation of his place in the history of linguistic thought. With a wealth of entertaining examples he looks at Fowler's stated principles and the tensions between his prescriptive and descriptive temperaments. He shows that the Dictionary does a great more than make normative recommendations and express private opinion. In addition he offers a modern perspective on some 300 entries, in which he shows how English has changed since the 1920s. ABOUT THE SERIES: For over 100 years Oxford World's Classics has made available the widest range of literature from around the globe. Each affordable volume reflects Oxford's commitment to scholarship, providing the most accurate text plus a wealth of other valuable features, including expert introductions by leading authorities, helpful notes to clarify the text, up-to-date bibliographies for further study, and much more.